There are advantages and disadvantages of picking a centrifugal juicer for your next juicing machine. You have several options when it comes to juice extracting machines including hand helds, masticating and centrifugal. Hand helds are cheap but limited, masticating are more expensive but more versatile and the centrifugal is generally thought of as a happy medium between the two. A centrifugal machine works by first chopping the ingredients into smaller pieces and then spinning them at very high rates of speed. The high revolutions create centrifugal force, which forces the juice from the ingredients through a small screen and into your receptacle. The pulp will collect against the screen as it juices. Centrifugal juice extractors are very common and therefore widely available. These machines are perhaps the easiest models to master and cleanup is a breeze. They have fewer parts than more complicated machines and most can be tossed in the dishwasher for easy clean up. When you browse the models available, you will find the centrifugal is the most commonly available, which means they are also a good deal cheaper. Some devices come with an optional pulp extractor, which will save you time during the juicing process. As pulp builds up in the strainer you will have to stop frequently to clean it out, about every two glasses of juice is normal. 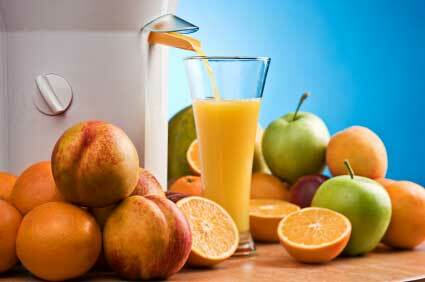 An extractor will expel the pulp for you thereby allowing you to create more tasty juice. If you are just starting out on your juicing journey or will be doing, so only occasionally for fun this is the juice extractor for you. A centrifugal juice extractor will be fairly noisy, the internal components move at a high rate of speed, which creates friction and vibration. For many this is a small consideration, but for some it will be a deal breaker. If a quiet machine is what you require you should avoid the centrifugal. Wheatgrass and leafy vegetables will not process well in a centrifugal machine. Separating the juice from vegetables of this type really requires a gear driven process. During the high speed, revolutions of a centrifugal machine sprouts and leafy vegetables will get frothy and lose much of their nutrient value through oxidation. Finally, a centrifugal juicer will produce much less yield from fruits and vegetables than say a masticating juicer. This is due to blades versus gears and the high speed of the revolutions. 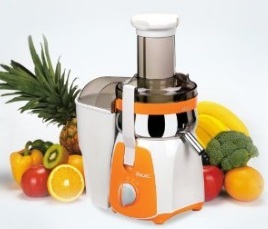 A Good Juicing Machine for You? Centrifugal juice extractors are common and very cost effective for the casual juicer. They will give you the ability to create healthy and tasty drinks from a variety of produce. Of course, if you would like to delve deeper into the process and have more options you should consider a masticating juice machine.